Jesse L. Halpern has been practicing personal injury law for over three decades and is the patriarch of the Halpern Law Firm. 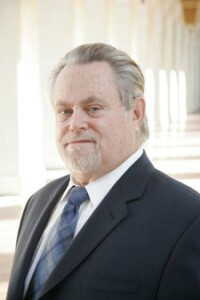 A Southern California native, Jesse graduated from Southwestern Law School in 1966 at age 26 and began to practice law. Since that time he has built his reputation on helping people who have suffered injuries as a result of neglect and negligence of others. One seminal case nearly 30 years ago explains “why” Jessie loves being a personal injury lawyer and helping people in need. The case involved a young boy who was injured in an accident and admitted to County Hospital. When admitted, he was able to move his arms and legs. Shortly after admission the boy became paralyzed. As an experienced accident attorney, Jesse was able to establish negligence on the part of the hospital staff. The case was ultimately settled and the boy was provided with enough money to care for himself for the rest of his life. In today’s dollars, the settlement would be worth about $10 million dollars. When asked about his accomplishments as a lawyer, Jesse will boast being directly responsible for encouraging no less than 15 people both friends and family to become lawyers. While he still practices law, these days Jesse prefers playing the piano and spending time with his grandchildren.